The Nursery children were extremely excited to meet so many creepy crawlies on Monday when Natural World came to visit! 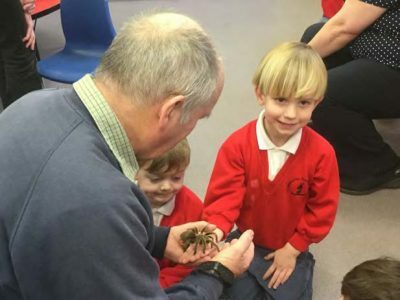 Most children were very brave and touched or held stick insects, cockroaches and even a tarantula!! Carrying on the creepy crawly theme, Pippins have been making lizards which were decorated by painting bubble wrap and then pressing down to form a bubbly pattern. 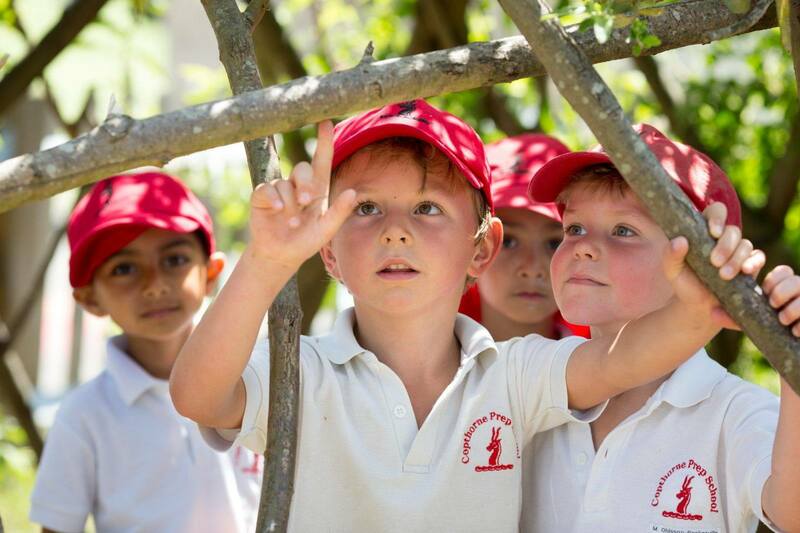 Children may dress up however they wish next Thursday on World Book/Dressing up Day! Oaks have begun their Fairy Tales topic with The Three Bears and Little Red Riding Hood. 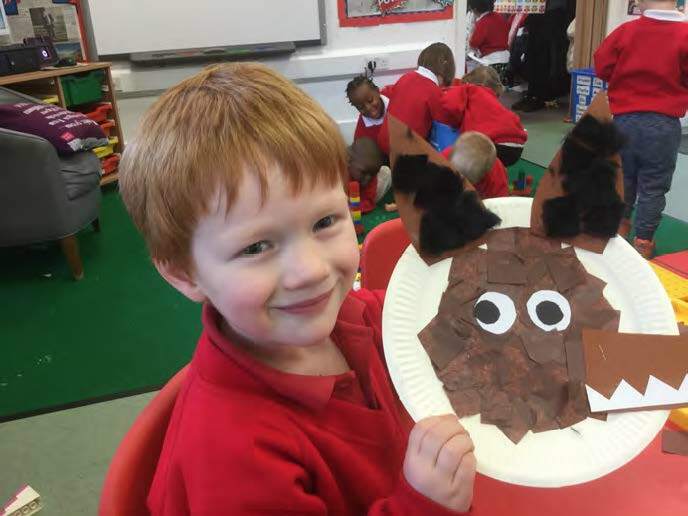 We have been discussing keeping safe when out and about and have made some tissue paper wolf faces. Next Thursday is of course World Book Day and Oaks class can come in dressed as a Fairy Tale character or as a pirate, but please refrain from bringing in toy swords – thank-you!